Providing Safe, Secure & Elegant Fencing Solutions. The Millbrook design is a stylish semi-private fence for any setting. It is available in 5 and 6 foot heights. Both heights have three horizontal rails. Backed by CertainTeed’s lifetime limited warranty with SureStart™ parts and labor protection, you can rest assured that your fence is covered. 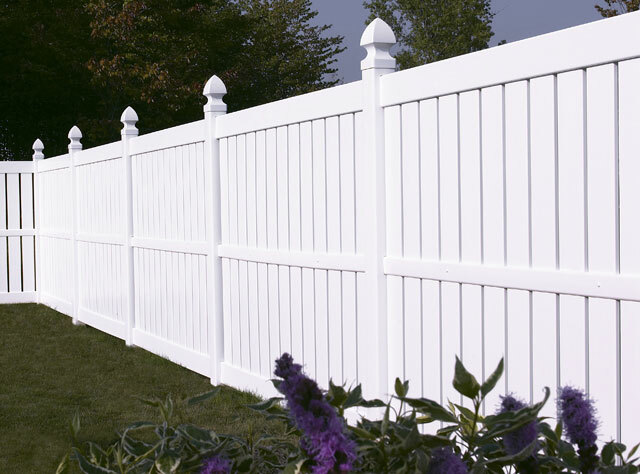 Bufftech fence is designed for exceptional performance. Premium features such as high-quality raw materials, steel reinforced rails, heavyweight pickets, routed rails and fence posts and concealed fasteners ensure that Bufftech will outlast and outperform other vinyl fences. For more information, give us a call at (906) 786-1076! Contractor's Lic # 2102121620 Copyright © 2019 All rights reserved.